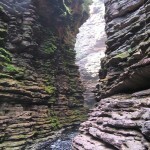 One of the most luscious and beautiful of the waterfalls in the Parque da Chapada Diamantina, the Cachoeira do Buracão has a height of 85m with a canyon made up of layered stones. 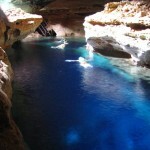 The trip starts at the Poço Encantado,a water-filled cave which is easily accessible, and with a depth of 61m – where it is possible to see to the bottom due to it’s uniquely transparent waters. 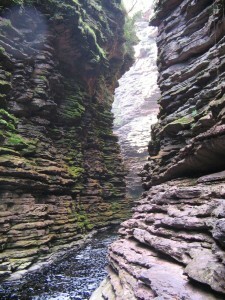 It is also the only attraction in the Chapada Diamantina that doesn’t allow access to children under 12 years old. 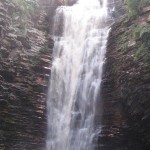 Having visited this waterfall we then go on to the Rio Paraguaçú, one of the largest rivers in Chapada Diamantina, and then on to the Sede do Poço Azul. 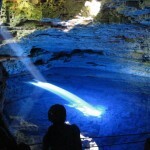 This is a flooded cave where, at certain times of the year the focus of the sun’s rays transform the lake into a true natural spectacle, with an array of different shades of blue. 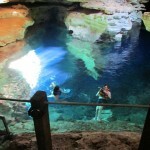 You can actually swim in the pool with equipment such as life jackets, fins and snorkels… then, a lunch break. 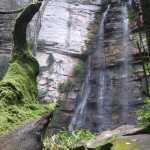 For those taking the 2 day tour, you will stay in the town of Mucugê, and the next day you will go on to the Cachoeira do Buracão, with a 4×4 car towards the town of Ibicoara, which marks the beginning of the trail to the waterfall. 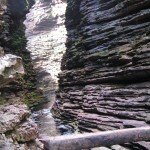 The route takes you on foot along the edge of the Rio Espalhado and Cachoeira das Orquídeas until you reach the beginning of the descent to the canyon of the Cachoeira do Buracão. 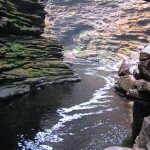 You arrive at the waters of the waterfall either swimming, floating with floats or by walking across the rocks. You can take a wonderfully refreshing bathe in the waterfall and pause to take photos before the tour continues to the the top of the waterfall. 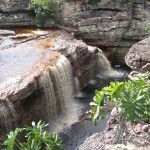 Stop for lunch and a rest to conclude the trip to the Cachoeira do Buracão, with the return by car. 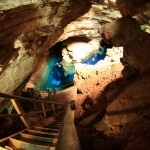 Included: Transport, accredited guide, entrance, extra guide, insurance, trail snack and 1 x 500ml bottle of mineral water.